The glass bottle is bejeweled in diamond, sapphire and 18-karat white gold. Well, they’ve done it. Just when everyone thought Hidden Valley couldn't outdo itself, the ranch makers went and made a blinged-out bottle of dressing. In honor of National Ranch Day on March 10, the brand crafted a $35,000 jewel-encrusted bottle that can be won by one extreme ranch enthusiast on Twitter. The glass bottle is bejeweled in diamond, sapphire and 18-karat white gold (the ranch comes on the side so you can fill it up at your leisure). According to a Hidden Valley spokesperson, it was designed by an A-list celebrity jeweler whose name they would not disclose. Hidden Valley described the royal blue bottle as a nod to the Royal family. "Hidden Valley Ranch will commemorate this joyous occasion by creating a one-of-a-kind bottle to honor a fellow famous American, and remind her of the familiar flavors of her home country as she resides as royalty across the pond," Hidden Valley wrote in its announcement. "Renowned in these United States as the flavor that goes well with anything, Hidden Valley Ranch is honoring the great pairing of a fellow famous American with British royalty, as well as those who royally love ranch." It’s not the first time the all-American condiment brand has taken its merch above and beyond. Last year, Hidden Valley launched a $110 ranch fountain, an ugly holiday sweater, and a $50 mini-keg, which can hold a year's supply of ranch (depending, of course, on your ranch intake). To win the bottle in time to wow guests with a bedazzling dip at a barbecue, retweet @HVRanch's National Ranch Day post between March 10 and May 19. The winner will be announced in the weeks following the contest's end. The bottle emerged on social media before Hidden Valley's official post and Tweeters are already flagging it to their friends. And, of course, tried-and-true ranch aficionados have been professing their love for the liquid way before they knew could own a $35,000 bottle of it. Soon, one lucky fan's wildest dressing dreams will finally come true in the form of a bejeweled bottle. 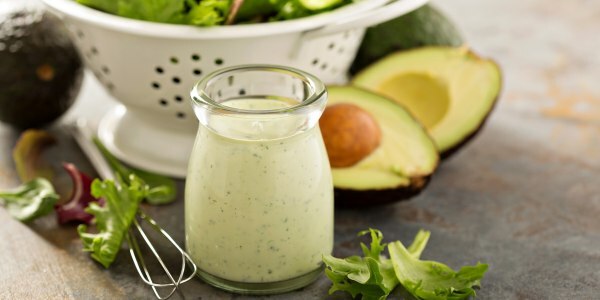 This homemade avocado ranch dressing is easy to make and a great subsititute to regular ranch. It's creamy but has no dairy and plenty of healthy fats. Feel free to smother away on pizza, salads and wings. 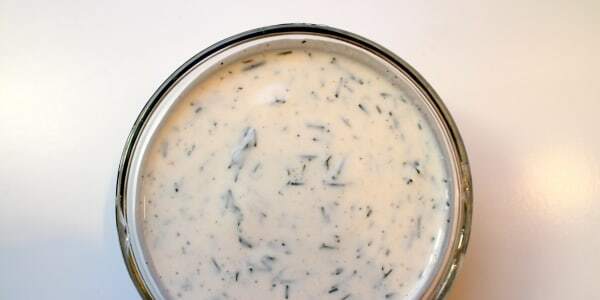 This tangy herb dressing by Sarah DiGregorio is flavored with onion and garlic powders — the concentrated taste of the powders actually make it taste like a classic ranch dressing. But you could certainly use a half of a grated garlic clove and a tablespoon of minced chives or scallions instead. 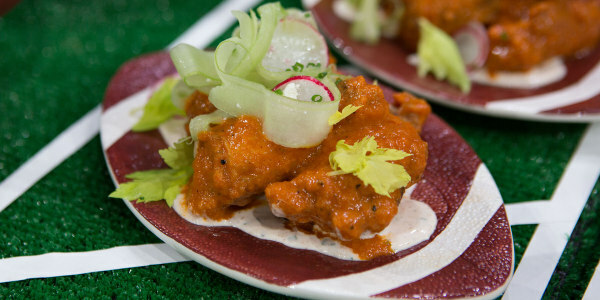 This classic spin on buffalo chicken wings by Jason Santos is a perfect pairing for Hidden Valley's $35K bottle. It's a casual dish with an elegant spin.